Minister of Education, Science and Technology Dr. Emmanuel Fabiano has said Africa needs high level skills in order to make science and technology and knowledge a drive for development. Fabiano said this in Lilongwe on Wednesday May 2 during the official opening of Universities Forum for Capacity Building in Agriculture (RUFORUM) technical experts’ task team meeting for the planning and preparation of the meeting of ten Heads of State champions for Education, Science and Technology. “In 2014, African leaders committed to ensuring growth in our science, technology and innovation sectors, strategy for Africa (STISA 2024) as a means to drive growth. STISA recognizes that our challenges will be exacerbated by various challenges including an increasingly competitive and globalized world, where knowledge is critical for development,” he explained. Fabiano added that strategic investments in some sectors such as higher education that produce the right type of high level skills will have spillover effects and can stimulate growth and contribute significantly to overcome key challenges. The Minister said there is need to enhance performance of the agriculture and other sectors to contribute to sustainable development if the Sustainable Development Goals (SDGs) and the 2063 Agenda are to be met. He pointed out that in 1980’s and 90’s Malawi and many African countries turned attention to primary and later secondary education, by ensuring better access to education for the masses and providing public funding. Fabiano said a key outcome is that there is increased demand for university education and it has highlighted some of the more glaring challenges for the higher education sector in Africa. 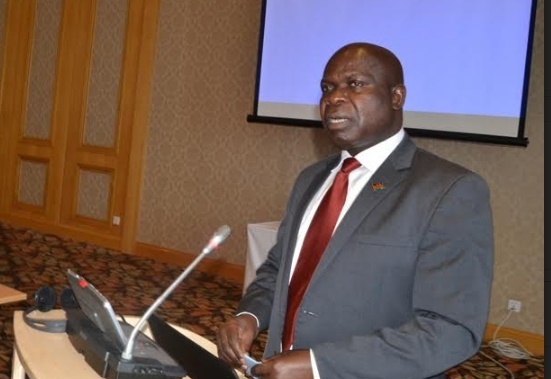 RUFORUM Executive Secretary Prof. Adipala Ekwamu said there are in a stage where African governments have agreed to work with African Academia and private sector to use the opportunity to develop, strengthen education, science and technology in the continent. “The three arms recognize the need to work together to move the continent forward particularly in the implementation of our own vision of the continent the African 2063 agenda,” he said. Ekwamu said for African Universities to move forward there is a need to provide evidence based support to policy and they must get avenues and platforms for doing that at National, Regional and continental level. He explained the purpose of RUFORUM is to bring the collective voice from the African universities to policy makers and commended Malawi President Prof. Peter Mutharika for accepting to work with the academia. The meeting stimulated discussions on strategies of how African countries can re-position Higher Education to effectively contribute towards the achievement of agenda 2063 and sustainable development goals for the African continent among champions of higher education. The experts also propose strategic policy actions that would spur the transformation of higher education in Africa in terms of access, relevant and quality. The meeting focused on some of the following thematic areas: expansion of access to higher quality education, promotion of equity in education and life-long learning, diversification, differentiation and harmonization of excellent high education system and creation of enabling policy framework for the growth of higher education. hello Sir/ Ma, I like to find out what it takes to obtain a grant or scholarship? Do you sponsor a PhD fellowship to UK?